We rely on the generosity of our supporters to provide a comfortable home and support services for our Veterans who are homeless. We accept a wide variety of donations both monetary and in-kind. Financial contributions allow us to continue fostering our programs and expanding our services. Donations made in memory or honor of a loved one will be acknowledged on our Tributes Page and in our Annual Report. To donate by credit card or electronic check, please click below. To mail a donation, download our printable donation form. We also accept a wide range of in-kind donations, including food, new clothing, new bedding, and more. Please see our Wish List for all accepted items. Donate your car, truck, motorcycle, RV, or boat to Homes for the Brave by reaching out to our official partner, CARS. The CARS team will reach out to you to arrange the pick-up of your vehicle donation, at no cost to you. You may qualify for a tax deduction while supporting our Veterans! 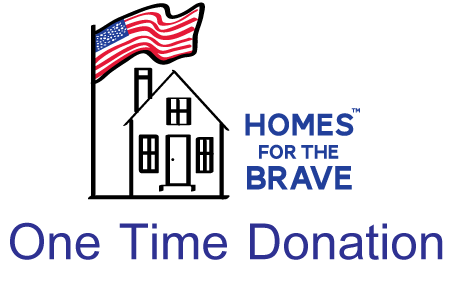 Make an enduring contribution to ABRI/Homes for the Brave by remembering us in your estate plans. You will have a lasting impact on the Veterans today and in the future. Please contact our staff for details. For more information on any type of donation, please contact Elizabeth Gorenbergh, Director of Communications & Outreach at (203) 338-0669 or info@homesforthebrave.org. Applied Behavioral Rehabilitation Institute, Inc., doing business as Homes for the Brave, is a 501(c)(3) not-for-profit. All donations are tax-deductible as indicated by the Internal Revenue Service. Our IRS tax-exempt EIN number is 06-1520511. We are registered with GuideStar & Charity Navigator. View our website privacy, security, and refund policies here. You can also download a copy of our IRS tax-exempt letter.